Împreună cu Wilko Vriesman sensei, 6 dan la seminarul ce s-a ținut cu ocazia Congresului IAF. Cluj-Napoca, septembrie 2014. I first met sensei Wilko Vriesman, 6 Dan Aikido Aikikai in 2012 at the first seminar held in Romania by Christian Tissier sensei, 8 Dan Aikido Aikikai and hombu dojo shihan. Sensei W. Vriesman is a very interesting person and teacher for me as an aikidoka. Very efficient and professional on the tatami, but also very warmhearted and ready to answer any question, anytime. But, what striked me the most is that he is the same person, he has the same character in and outside the tatami kind, ready to teach you, very into the art he is working so hard to pass on to the next generations and a big sense of humour. Here is the result of a nice chat me and sensei Wilko had in april 2013. Paula Alexandrescu (P.A. ):The first time I saw you it was at the beginning of Ch. Tissier sensei’s seminar which took place here in Cluj-Napoca, Romania, a few months ago, in November 2012. I noticed that since then something changed into your style of practicing Aikido. So, what happened, sensei, because there have been only a few months? I mean you are a tall, strong man, but there is something else there, something subtle and, for me, it is amazing because I can see this change, this important change, at a distance of a few months. Wilko Vresman (W.V. ): Sometimes you have to make a decision on how you work, on how you practice. I was raised in Ch. Tissier’s sensei system and I know very well how it functions, but, by getting older, one realizes that you still can do it, but at the same time, one has to prepare himself for something else. In the forms you are working with, you try to purify yourself and the technique, and to find everytime a new fascination in the practise wich suits your body. Of course, I can still do the way I used to train 15 years ago, but my heart is looking for another way of doing it, more subtle as you said. Being around a great master like Ch. Tissier you have to understand that you always have to look for a way to improve the way one practices and teaches. P.A. : What is Aikido for you and when do you think you really understood what it is about, the essence? W.V. : I’ve been practicing Aikido for about all my life, 35 years now and there have been many stages. When I was young, I was more like an athlete, throwing people around. Injuries were a normal part of the learning process. Now, looking back i have changed my attitude towards my body and I have become more carefull for myself and others. P.A. : What do you think now about that? W.V. : It was a necessary step, but I wouldn’t do it now. So, in my teachings I try to find ways in avoiding that step. That way you learn a hard shape budo and I believed in it back then. But now, I think it is more about learning how to be safe, how to stay alive outside the budo, on the street, if something happens. And in my teachings that is what I try to do, to create that feeling so that people understand and learn how to stay alive in a more subtle way, not by breaking bones. Moreover, everybody has to be able to do it, even those who do not have a lot of physical strength. Obviously for them the hard shape budo is not an option. So, I want to teach in a way that anyone can get there by practicing. P.A. : You travel a lot around the world. How did Aikido change over these years? W.V. : It depends on where you go and for how long Aikido had been there and had been practiced. I also go to Arabic countries and they consider Aikido as part of their freedom and they don’t want to fight at all because they already have too much fight over there. I see a different flavor, each country, depending of what they want to do. Here also, after communism party and Ceausescu period, it is about the freedom of the people, but also about how they can create connections (Musubi) between people and how to use those connections depending on the person and situation you interfere with at a given moment. It is about how to get together in a different way, a non-force way. P.A. : What is your opinion about passing the knowledge from one generation to another? How it should be made, because we have different teaching styles, than the non-weapon and weapon part etc. W.V. : I am not concerned about that question anymore. We pass it, each one of us, the heritage as we know it and understand it from a unique person called O’Sensei and it is impossible to do it like him. But we have to conserve the quality by combining the qualities, the good parts and about that is the Aikido Bridge. To combine all the qualities together! Nobody is absolute or unique, the aikidokas must see as many of these qualities as possible, to practice hard (nothing will happen overnight!!) and take what suits them best and, at a certain point, to be able to apply them, without force or violence. To get to harmonize themeselves with everyone else, by applying the qualities that suit them. So, combine qualities in such a way that the community evolves. There are advanced people, but nobody is O’Sensei. P.A. : I was talking last October to Ch. Tissier sensei and he told me he is a little bit worried because he said we need more women, children and young people in the dojos. What is your opinion regarding this issue? W.V. : Yes, we need young generations and women, but I am not worried. We have actually been expanding a lot lately in my country (Holland). In my country we have children and women in the dojos and we make efforts to continually bring new people to the dojo. Also, we have to be very careful not make Aikido too expensive, so that people can come and practice. We have to be very careful about the commercial part! P.A. 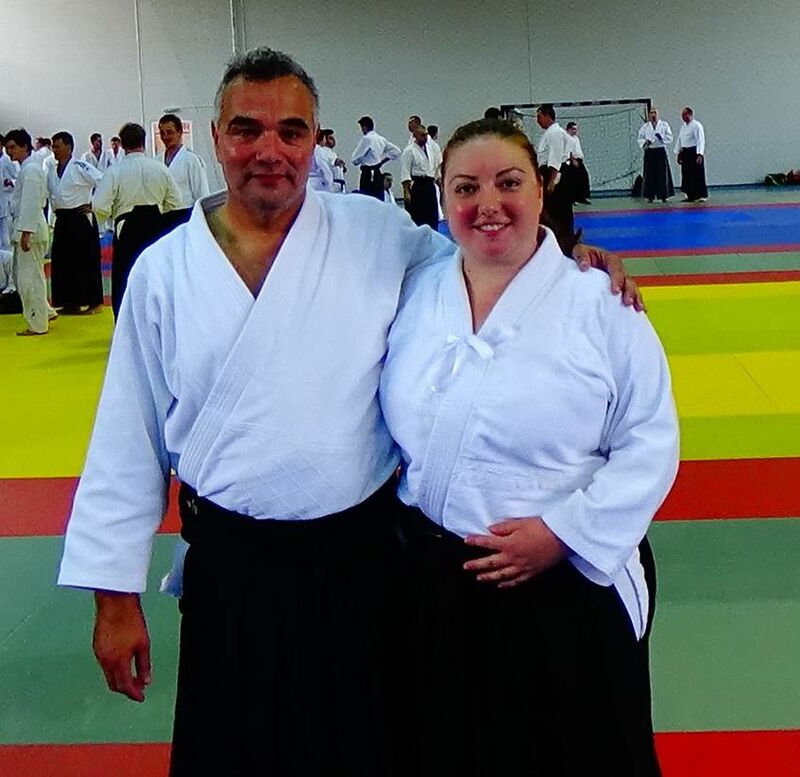 : I hear all the time that Aikido is for everybody, but I don’t see women with 6-7 dan rank. W.V. : Go to my country! (laughing hard!) No, we have women with 5 dan rank in Holland, which is a very high rank in my country, but in the world there are women with 6-7 dan rank also. Of course, in 20 years from now, we will have a totally different generation, it is a matter of time for this to change and you will see more women like this. P.A. : What do you think it will happen with Aikido? How will it change during the years to come? W.V. : Maybe Aikido will change in terms of its form, as outlook, but it is normal, because if an art becomes static is a dead art. So, it has to progress, to change in such a way that it will be a living response in any time frame. P.A. : I saw that you combine sensei Ikeda’s system with your system, which is based on a certain point that one has to reach, in order to make the technique work. W.V. : Of course, otherwise we would not communicate! P.A. : Ok, but how do you do that. For us, the beginners, it looks like two different systems. W.V. : I understand his principals. We all have our own way, but the principals are the same. If I understand the principal, I can easily be creative in my Aikido. First you have to copy forms and, in time, you will find your own system. And you know it is a good way if it works. In a martial way, if it works, you are always right! (smiles and looks deep into my eyes). P.A. : How does Aikido combine with your personal life, because you travel a lot and teach a lot. So, I guess you are not spending too much time at home, with your family? W.V. : My family knows what I am doing. So, when I am at home, I am at home and when I’m not, I’m not and they accept that fact. Nevertheless, it is important to really be there when you are there! That is something that you should do wherever you are. When you practice, you practice! When you sleep, you sleep! When you spend time with your family, you do that 100%! P.A. : What were the teachers that influenced you the most? W.V. : I started with Kanetsuka sensei and then I studied for about 10 years with Fujita sensei. After that, I went to Hombu Dojo to be an uchi deshi and was taking care by the former and the current Doshu. In the Hombu I met many teachers, but I was very influenced by Yamaguchi sensei at that time, who introduced me to Christian Tissier sensei and so I become his deshi for 10 years. After that, I met Isoyama sensei, an old samurai type of person. These are the main characters in my life, untill now. W.V. : Right now I am my own teacher, as a 6th Dan, but, when I was young, it was Fujita sensei, but as a professional I was very influenced by Christian. In my case, it is more than one person that formed me, but in essences I owe the most to the current Doshu and Christian. P.A. : How was Fujita sensei? W.V. : At that time I was young, so I accepted a lot of pain. (we both laugh hard because Fujita sensei and his students, which are my senseis have a taught style). At the end of the day, I think he was busy with too many countries where he went to teach Aikido. He was expanding too much and also many times I saw him being misused by people, so, I started thinking about politics. P.A. 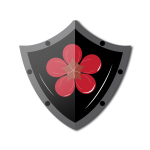 : What is the role of politics in Aikido? W.V. : To create a good atmosphere for the students to grow. P.A. : Do your children practice Aikido? , is every day in the dojo. P.A. : An advice sensei for aikidokas, but also for instructors. W.V. : Don’t try to reinvent Aikido itself, just choose the right teacher. P.A. : And how do you know what the right teacher is? W.V. : Your heart will tell you!